SD to MicroSD Card Extension Cable, 20" long. 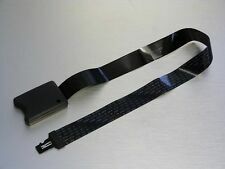 Thin flexible cable. NOW WITH BLACK CABLE. Brand new and sealed. Any questions please ask. Buy from a trusted seller. 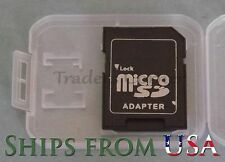 Reader will work with any micro SD card of any size! This includes but is not limited to 128MB, 256MB, 512MB, 1GB, 2GB, 4GB, 8GB, 16GB, 32GB and 64GB! 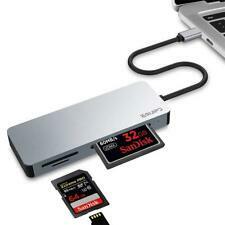 Works with Sony G and M Series XQD cards to ensure maximum read / transfer of content into a USB 3.0 interface. 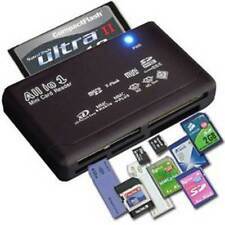 Reads Sony XQD cards along with SD, SDHC, SDXC memory cards from any manufacturer. 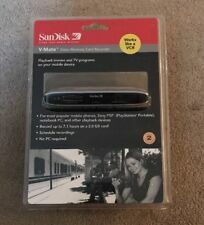 Sandisk V-Mate. Video Cassette Recorder (VCR). Personal Video Recorder (PVR). The V-Mate allows you to select your desired playback device “profile” or manually set video format, resolution, and quality levels via a user-friendly graphical user interface (GUI). The Hoodman Steel USB 3.0 UDMA Card Reader is a SuperSpeed USB 3.0 UDMA card reader capable to 5 Gb/s data transfers 10X faster downloads than USB 2.0. "Capture the spot ". High speed USB. Rapid data transfer. 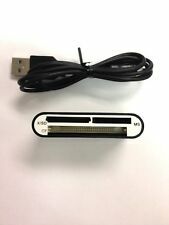 All-in-1 Card Reader/Writer. Specs Card. MAC & PC System Compatibility. 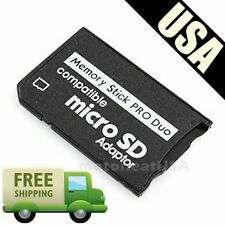 CONVERTS SD CARDS TO USB FLASH DRIVE FORM TO PLUG INTO USB PORT. For Macbook Pro, Google Pixel, Chromebook and More!